The second part of the MyMachine Portugal exhibition was launched today Monday 12 November. 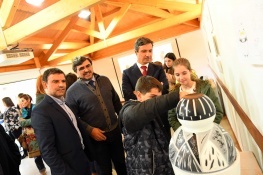 More than 120 elementary school students from the Famalicao region were involved in the previous school year, which resulted in the making of six dream machines. 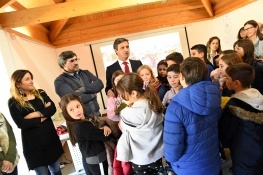 This event was also attended by mayor Paulo Cunha, aldermen of Education, Knowledge and Culture Leonel Rocha, Head of MyMachine Portugal Ana Sofia Godina and the local partners involved Universidade Lusíada, CIOR, FORAVE and Agrupamentos de Escolas. 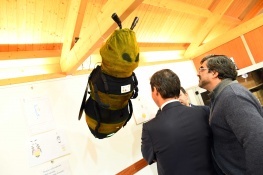 MyMachine has, according to the president of the municipality, a “great appeal”, because children are not “thinking theories or theses”, but “thinking about concrete cases”. On the other hand, he points out that “projects result in community contributions rather than response to individual problems”. “We see children up to the age of 10 who are not just looking at their belly but developing an awareness of the community’s interest,” he adds. 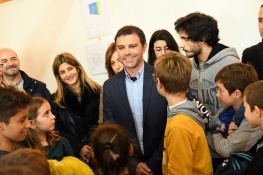 “We want MyMachine Portugal to reach all school groups in our region” said Paulo Cunha. In this part of Portugal, the Lusíada University is joining the program with a team of students coordinated by Pedro Reis, to interpret the project and adapt the best technical answers to make the dream machine operational. Among all the ideas that have been turned into dream machines this year were: The-Storing-Toys-Machine, The-Noise-Measuring-and-Reporting-Machine, The Sharpen-Pencils-Automatically-Machine and the Life-Vest- Machine. 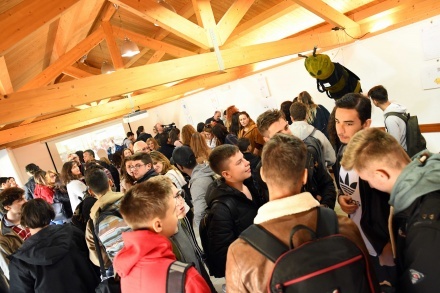 All the machines can be seen in the exhibition at the Park of the Devesa until next 23rd of November 2018. After the Óbidos region in central Portugal, Vila Nova de Famalicão in the North of Portugal is the third region to implement MyMachine in Portugal. 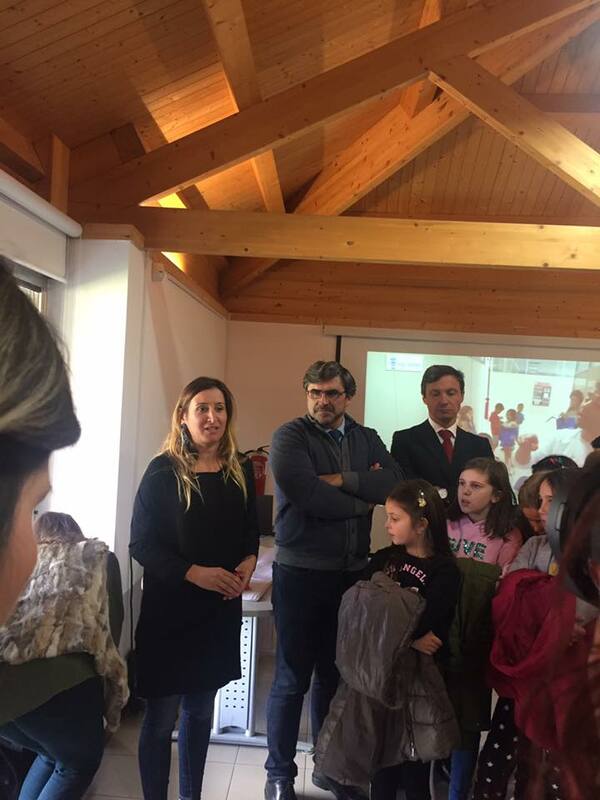 Ana Sofia Godinho revealed that, this school year, Campo Maior also advances with MyMachine and that there are other locations that have shown interest in moving forward as well.